Classic beauties with classic Coke imagery. Sounds like a match made in heaven! 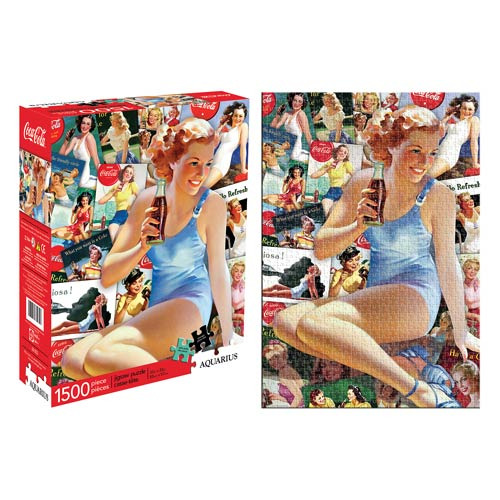 A bevy of beauties has appeared in Coca-Cola ads over the years, and this gorgeous Coca-Cola Girl 1,500-Piece Puzzle includes many of them. When you finish assembling your 33-inch tall x 22-inch wide masterpiece, feel free to take a "pause that refreshes." Ages 14 and up.